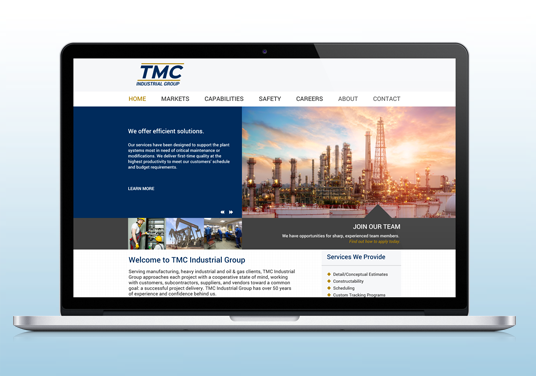 TMC Contractors, Inc., a well-known electrical and instrumentation services shop in Louisiana, merged in 2015 with a management and supervisory team that has a 30-year diverse history of industrial & manufacturing projects throughout the United States and Caribbean and became TMC Industrial Group, Inc. To propel this reorganization into the future, TMC needed a new identity. 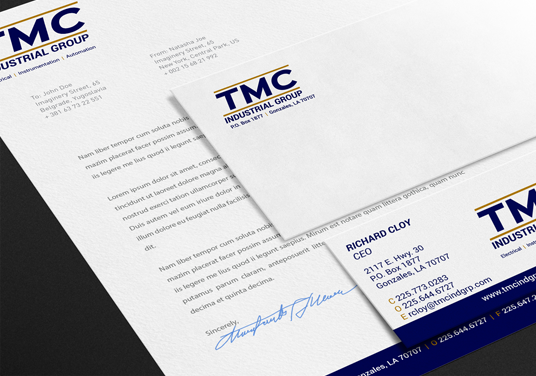 We developed a strong, simple logo that evokes a feeling of action and moving forward as well as stability. 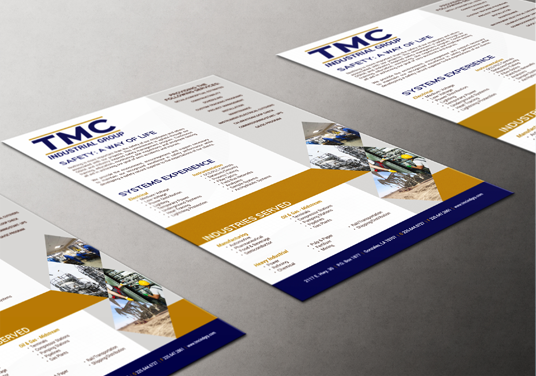 We carried those attributes through to the stationery, sales sheet and website designs.